Jamaica is the largest English-speaking island in the Caribbean and the third largest overall. The island spans 4,400 square miles. Jamaica is populated by over 2 million people, largely decendents of the freed African slaves brought over to the island by the spanish and British. Jamaica is classified as a developing country. Tourism and mining are the two most profitable economic sectors along with agriculture and manufacturing. Jamaica has been an independent country since 1962 when it ceased to be a British colony but remains part of the British Commonwealth. Jamaica has a coastline length of 1,022 kilometers (635 miles). Jamaica is the tip of a mountain rising from the sea floor. Nearly half of the island is more than 330 meters (1,000 feet) above sea level. There are lush rolling hills that are ideal for agriculture and coastal beach regions that are popular with tourists. 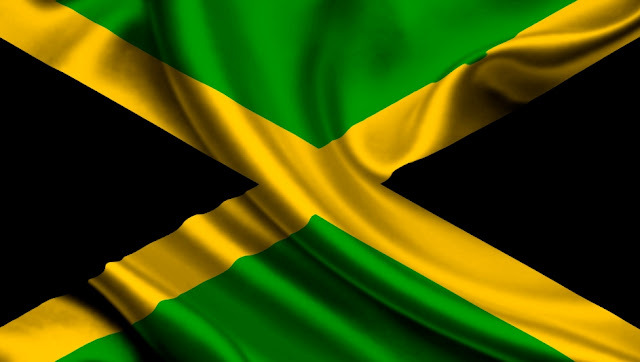 Jamaica is an independent nation and a member of the British Commonwealth. After enjoying full internal self-government for a number of years Jamaica achieved independence in August of 1962. Queen Elizabeth II however, is still Queen of Jamaica by tradition and the titular head of state is her representative on the island—the Governor General. It is similar to Canada. Encompassing 180 meters (590 feet) of gently terraced waterfalls, Dunn’s River Falls is one of Jamaica’s most famous natural attractions. The waterfalls are terraced like giant natural stairs though some incorporate man-made improvements. Several small lagoons are interspersed among the vertical sections of the falls. Jamaica is the third largest Caribbean island, measuring 146 miles at its widest point. Primarily of volcanic origin, the lush island features a mountain ridge that peaks at Blue Mountain which is 7,402 feet high. Many white-sand beaches and clear seas ring the island. Democracy is complete, with an elected Parliament, a Prime Minister, an elected House of Representatives and a Senate. It works on similar lines to the British parliament. The constitution embodies absolute safeguards to personal liberties and democratic rule of law. Parliament sits at Gordon House on Kingston's Duke Street and visitors can watch proceedings from the visitors gallery. Population standing at 2,731, 832 at the end of 2005 is made up of the following approximate ethnic groups: African 76.3%, Afro-European 15.1%, European 0.8%, Chinese and Afro-Chinese 1.2%, East Indian and Afro-East Indian 3.4% and others 3.4%. Arawak Indians were the original inhabitants exterminated by the Spanish after Columbus discovered Jamaica in 1492. The Spanish were defeated by the British in 1655. Snakes are extremely rare. They were killed off by the mongoose, imported to exterminate canefield rats. Climate is year-round summer with no definite rainy season, although it usually rains most in May and October. North-easterly trade winds blow continually. Obeahism the Jamaican form of Voodoo exists but is seldom heard of. The Obeah man is supposed to marshal evil spirits to bring good or bad fortune. The practice of Obeahism is a still considered a crime punishable by imprisonment here. Industries in order of importance are tourism bauxite, agriculture (sugar, bananas, coffee, pimento, cocoa and tobacco). No other country in the world produces pimento, also known as Allspice. Orchids grow wild all over Jamaica—200 species of them, 73 of which are found nowhere else. There are also 500 species of fern and 1,000 species of trees. Kingston is the capital and largest city of Jamaica, located on the southeastern coast of the island. Squeezed between the Blue Mountains and the world’s seventh-largest natural harbor, Kingston simultaneously impresses you with its setting and overwhelms you with its size, noise and traffic. Blue Mountain Peak is the highest mountain in Jamaica and one of the highest peaks in the Caribbean at 2,256 meters (7,402 feet) above sea level. Blue Moons happen in Jamaica. Sapphire-coloured moons have been observed half a dozen times during the last 40 years. The Coconut Palm is not native to Jamaica or the West Indies. Surprisingly nor are sugar cane, bananas, mangoes, breadfruit or bamboo. They were all brought to the island at various stages in its history. The original Arawak inhabitants lived mainly on corn, fish and yams. As of 1 January 2016, the population of Jamaica was estimated to be 2,798,802 people. Negril Beach is a Caribbean classic – 8 kilometers (5 miles) of white, west-facing sand that shelves gently into gin-clear water. Much of it is developed and there are scores of bars and restaurants. The Bob Marley Museum, at the reggae superstar’s former home, located right in the heart of the capital city, Kingston. It is Kingston’s most-visited attraction and the site of the Tuff Gong recording studio. Highlights are Marley’s bedroom with his star-shaped guitar by the bed. Unexplored country still exists in the Cockpit Country, part of which is inhabited by the Maroons, slaves turned loose by the Spanish before they fled the island, and who went to this wild country to form settlements. They later harassed the British so much they were granted independence in a treaty of 1734 and still govern themselves today. Jamaica’s coastline is home to some of the most beautiful beaches in the Caribbean, drawing millions of sun worshippers every year. Miscellaneous Departure Tax-Most important to remember, you will be asked to pay a departure tax of US$22 unless it was already calculated into your ticket when you bought it. Official Matter Entry Regulations- No passports are required of Canadian or U.S. Citizens/Residents entering as tourists for any period up to six months provided that they have a return ticket and identification such as a social security card or driver's license. All other visitors must carry a valid passport. Your home country may however impose other travel requirements in order for you to leave and return. Please check with your local officials for more information and to prevent any confusion. Visitors can obtain a special licence after a 24-hour period on the island. You must produce your passport and two witnesses. If either party has been divorced or widowed, necessary documents must be produced to vouch for their current status. Young people under 21 years of age must produce written consent from a parent, signed by a notary public. With an area of 10,911 square kilometers (4,213 square miles), Jamaica is third largest island of the Greater Antilles, after Cuba and Hispaniola. Blue and John Crow Mountains National Park is a national park in Jamaica. The park covers 495 square kilometers (191 square miles) and accounts for 4.5% of Jamaica’s land surface. The park is globally known for its biodiversity. The UNESCO listed Blue and John Crow Mountains as world heritage site on July 3, 2015. Though the locals speak Jamaican language-Patois, the official language is English. The Ethnic groups comprising Jamaica are: Black (90.9%), mixed (7.3%), East Indian (1.3%), White (0.2%), Chinese (0.2%). The dominant religion of Jamaica is Christianity. Natural resources of Jamaica include bauxite, gypsum and limestone. The major exports of the country are bauxite, sugar, coffee, citrus products, rum, cocoa etc. The GDP per capita of Jamaica is US 3350.